LET'S FIND AN APARTMENT IN WASHINGTON D.C. FOR YOU! Washington D. C. Apartment Finders – leading locating service regardless of poor credit. We specialize in broken leases, evictions and more! There is hope for you and we can show you! You can obtain the best apartment or rental property in Washington D. C. regardless of what shows up on your credit report, how poor your credit score, if you had an eviction or if by chance you had a broken lease agreement! For those who have credit or rental issues like a Washington D. C. eviction, broken lease or poor credit, it can be more complicated to find a place to rent on your own. The good news is that it is not impossible to find you a place to rent! Did you know around 45 million people across the country have either no credit history or insufficient history according to the Consumer Financial Protection Bureau? So, this means you are not alone, and there is hope. Washington D. C. Broken Lease – A broken lease is when a rental tenant who has a lease agreement with a landlord ends up leaving their apartment or rental property without the consent of the landlord and ends up abandoning the lease terms. Breaking a rental agreement with a landlord can seriously affect your overall tenant rating and impact any chance of getting the apartment you want in the future. When a lease is broken by a tenant, it will at some point, show up and may stay listed for up to 7-years in the landlord/tenant reporting databases. Knowing this, it can be stressful when trying to locate a rental place on your own. Even more so, Washington D. C. evictions can also impact you trying to get an apartment, too. Washington D. C. Broken Leases can help you land your most ideal apartment without having the headache. Our service is FREE to you! 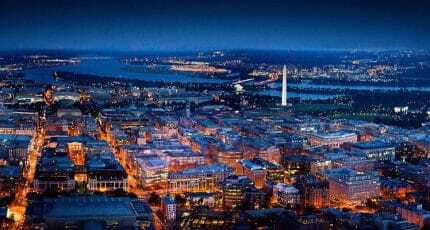 Washington D. C. Broken Leases is the premier Washington D. C. apartment locator service and is well-known for aiding area renters find the greatest place to live no matter what their credit history, credit score or rental history is showing. With more than 16 years of experience working in the rental industry, we are renowned as the D. C. area’s most trusted apartment locator service. Our expert rental locator agents have the skills needed to effectively match you with your most ideal apartment that will satisfy your needs and monthly budget! Washington D. C. has over 672,000 people taking up residence in about 277,000 housing units. Finding a perfect apartment can be quite overwhelming especially if you don’t have a good credit or rental history. So, if you would like the search process to be as painless as possible and land a variety of places to rent, then contact the experienced apartment locators at Washington D. C. Broken Leases. We are thrilled to be recognized as the premier apartment locators of the D. C. area, and we would be honored to assist you, too! We have a substantial database of all kinds of independent landlords and apartment complexes, we can easily find the most suitable rental place for you to live dependent on your specific requirements. We are regarded as industry experts in finding apartments for those who have no credit, poor credit history, prior evictions, broken lease agreements or home foreclosures. Customer complete satisfaction is of the utmost importance to us, and we will go the extra length to find what you are wanting in a new apartment or rental property, at a price fitting within your budget. For over a decade, we have been successfully helping apartment seekers find their perfect home. When we have the opportunity to speak with you, we will be able to figure out which one of our apartment locating services will work best with your specific needs. NO MATTER WHAT... You will be accepted regardless of . . .
Again our services are free to you! To get started right away, fill out the contact form. Once, your form is submitted, one of our Washington D. C. Apartment Finders will respond back with all of the available Washington D. C. apartments in the area that match what you are looking for! The process is that easy! ASSIGN – You will be assigned to your own personal agent who will locate the best matched apartments for rent in Washington D. C. or within your desired area, that best fits your requirements. This includes finding locations within your price range and in your desired area. RECEIVE – Once the specifics you provided is put into our database, you’ll receive your very own individualized list of readily available Washington D. C. apartments. The list will include any photos, available floor plans and all of the rental prices. REVIEW – You and your apartment locator will go over the final results, and then we will take it from there. With the professional assistance of Broken Leases Washington D. C. Apartment Locators, you will save valuable time and stress. Our locator agents have a list of Washington D. C. apartments already accepting renters with poor or no credit or poor rental history as well as apartments in Washington D. C. accepting evictions. The good news, our services are absolutely free to renters desiring to find an apartment or rental property in Washington D. C. regardless of their credit or rental background situation. Numerous renters already know that having an apartment locator assist is the easiest way to locate all kinds of apartments that meet certain needs the quickest. At Washington D. C. Broken Leases, we will take the uncertainty out of locating an apartment or rental property by making it easy for you to pick certain amenities and price ranges you need for your new home. Don’t wait another minute. Washington D. C. Broken Leases’ Locator will help you land your most ideal apartment regardless if you have bad credit or no credit, a broken lease agreement, a past eviction or a home foreclosure. Our service is always absolutely free to you! Find out why numerous Washington D. C. apartment renters have put their faith in our hands, which helped them find their ideal apartment even with poor credit or rental history. Take the next step and see how we can quickly help you also find your next apartment!